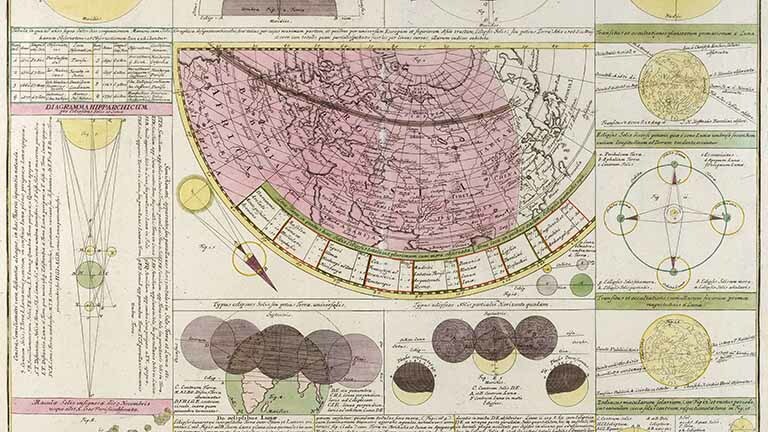 From the holdings of the American Geographical Society Library, the Atlas Novus Coelestis, or Celestial Atlas, (1742) is the major work of Johann Gabriel Doppelmayr. Intended as an introduction to astronomy, it includes beautifully rendered illustrations and diagrams of star charts and other wonders of the sky and stars. The collection also features the Grosser Atlas Uber die Ganze Welt, a terrestrial atlas published in 1731.